Advanced and Performance Camp, Thursday August 1st - Sunday August 4th 2019, 8.00 am - 6.00 pm (detailed schedule on request or by registration) at The Rinks, Yorba Linda, California. Price: USD 660.00 incl. TAX. All medical information stay confident and only serve appropriate treatment in case of emergency during the program activity. If yes, please specify your allergies (e.g. which medicines, products, insects?). Other necessary health information or conditions requiring special considerations? By submitting this registration form you give your consent in advance for medical treatment at an appropriate medical facility in case of illness or injury during the program activity. You are stating that you are aware of and accept the risk inherent in the program activity, hold harmless and indemnify Sport Action Inc. & Goalie Action and it’s employees from any and all liability, loss, damages, or expenses which are sustained, or required arising out of the actions of your dependent in the course of this camp or clinic. Ready for sending! We will answer your registration within the next couple of days. The participation is only confirmed with the reception of your payment. Thank you for choosing Goalie Action. We are looking forward to a great camp experience with you. 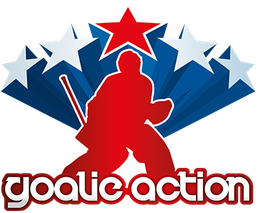 Copyright © 2018 - All rights reserved by Goalie Action, Group 75 GmbH and Sport Action Inc.